OLD PARKED CARS. 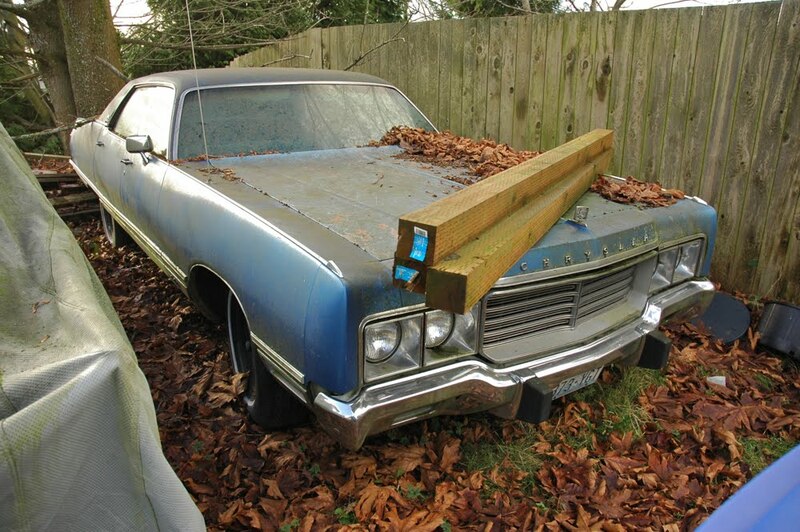 : Cozy Christmas Couple, 1 of 2: 1973 Chrysler New Yorker Brougham. Cozy Christmas Couple, 1 of 2: 1973 Chrysler New Yorker Brougham. 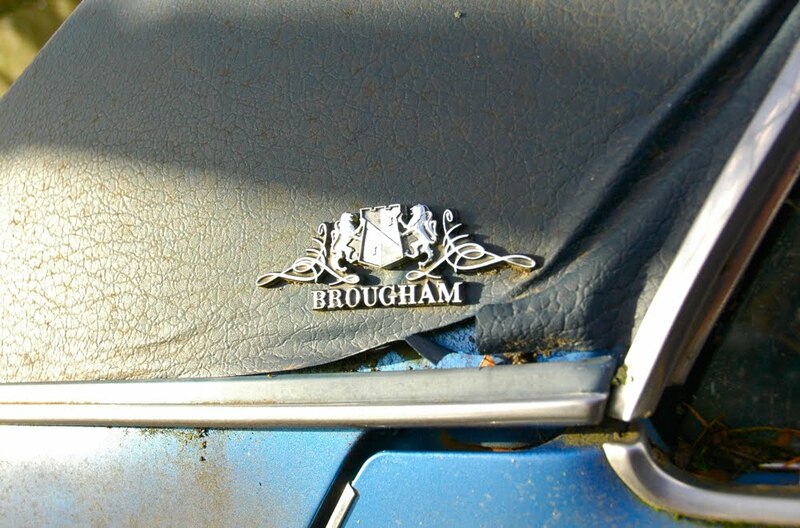 That shot of the worn vinyl roof with the awesome "Brougham" badge is now my wallpaper. 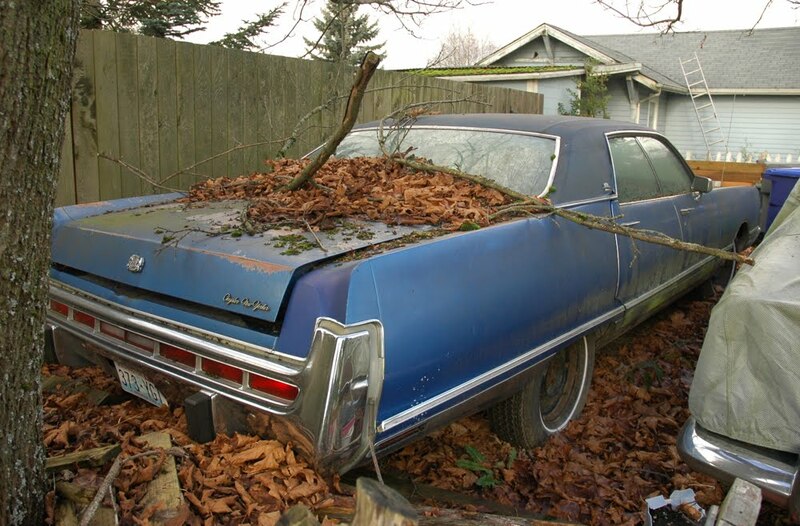 Too bad it's been neglected.Hope someone can restore this beast.